Friday nights at our home (at least twice a month) are movie nights. My husband sits down with the boys in front of their big screen with a mega-bowl of popcorn, soft drinks, an assortment of remotes and dvds, and they unwind into their world of make believe! Usually before one hour passes in their fantasy World and during the self-imposed “Intermission”, I am called up to deliver the goodies! The standard order: PIZZA Mom! For me it’s Mama Mia! The Pizza has come a long way from a modest bread snack with a simple topping that originated in Naples. Although versions of it are found from Sicily in the South to Genoa in the North. 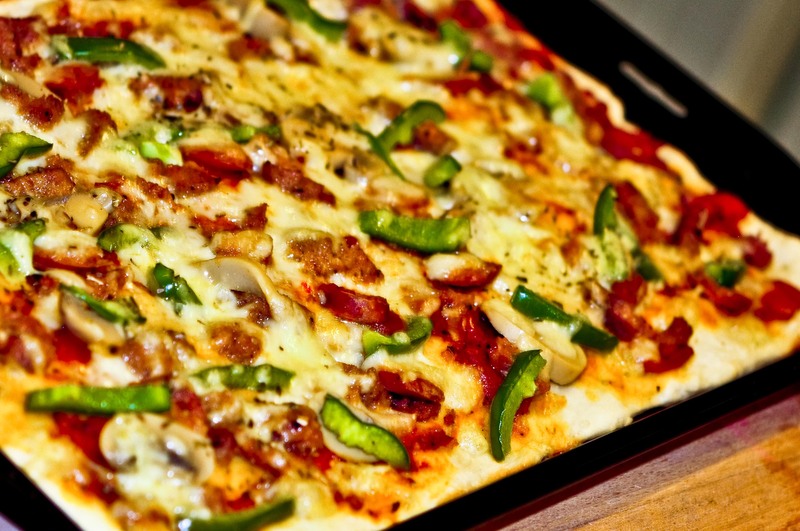 Pizza is probably the most popular Italian dish throughout the World. Although US fast food outlets mass produce it, a few restaurants still turn out the traditional wood fired oven baked masterpieces. To me, pizzas are a delicacy, misunderstood by many to be “junk food” thanks to its Americanization. One of the most popular variety of pizzas in Italy is the Margherita, which was created in honour of Queen Margherita of Italy and is a patriotic combination of the colours of the Italian flag (red tomatoes, white mozzarella and green basil). 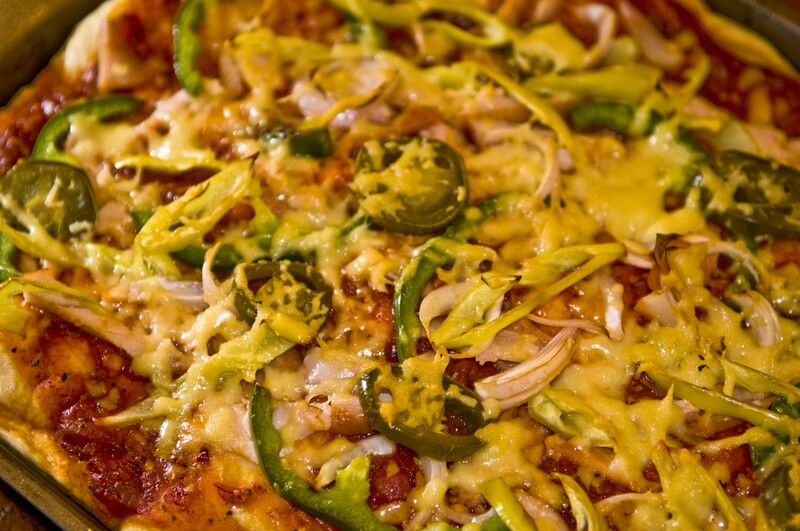 Pizzas are available in different types of crusts, the most commonly being the thick crust or “Pan crust” (favoured in USA) and the thin crust (favoured in Italy). The shape too differs – In USA it is typical to find a round pizza, whilst in Italy, the square pizza is commonplace. The best thin crust pizza I have ever tasted was in Florence at a pizzeria near the central station. It had the most amazing thin crust, and the topping of mushrooms, artichokes, olives, mozzarella was absolutely divine! It was baked before our eyes in a wood fired oven and the square slices were served to us piping hot. I remember the taste lingering in mouth while strolling down the cobbled streets taking in the beauty of the ancient city, considering back-tracking for yet another slice. I use several combinations for pizza toppings, depending on who does the eating! Kids love sausage, ham, pepperoni, BBQ chicken, mushroom, cheese, pineapple, etc, while adults prefer Tandoori or smoked chicken, chorizo, parmaham, jalapeno peppers, olives, anchovies, pancetta, prosciutto, peppers and sometimes even green or red chillies. Taking a leaf from the home of pizzas, I frequently bake mine in rectangular or square trays and serve square slices, much to the initial surprise of my children and their guests. Their hesitation is only momentary. A second later, it is a battle to see who can grab the largest piece and who can eat the most number of slices! Magnifico!